WELCOME!! SO GLAD THAT YOU’RE HERE. Achieve your ultimate vision of health. You ever sometimes forget what you are capable of? Ever let doubt take over, and it has negative effects on your health and life? This course will remind you, inspire you, and teach you to navigate through the doubt and fear, to help you feel like the vibrant healthy, ambitious woman you know is inside of you. Only good vibes here! Uplift, inspire, educate, and support is my intention. You deserve to live your happiest and healthiest life, despite all the stuff that's been thrown your way. Don't you? Lively Living with Lupus is possible! So excited that you’re here. YAY!! REGISTER HERE FOR ACCESS TO THE COURSE! Also, Get inspired! Enjoy receiving inspiration, positivity, healing tips and more via my newsletter. This is where you can learn about upcoming events, products, services, and more that that are in alignment with holistic healing & lively living with lupus. Ever think to yourself, “ I want to come off these meds?” I hear you! I had that same thought. I had to learn how to naturally heal myself, find strategies to manage my lupus. In this course, I will share with you what I’ve learned, what worked, and how to take action. This course will leave you feeling inspired, hopeful, and prepared to begin your healing transformation. 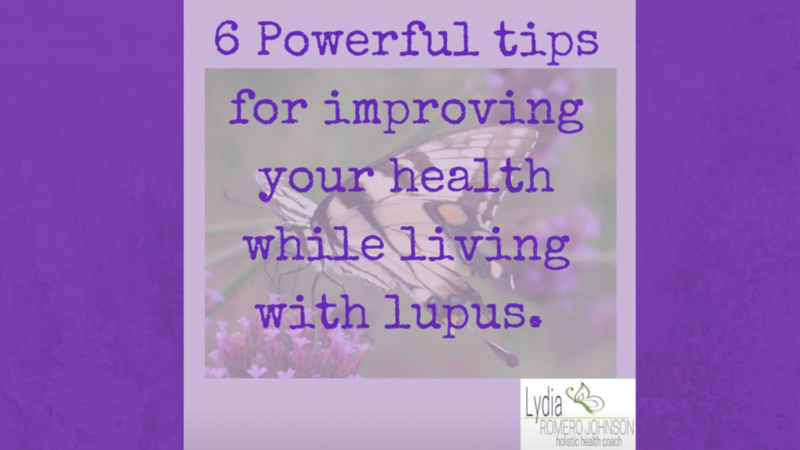 E-BOOK: 6 Powerful Tips For Improving your health while living with lupus. VIDEO- Coming off medications: The side-effect of these 6 tips. So excited about starting this journey with you. The Lively Living With Lupus Course will be delivered to your email soon.